you, maybe it’s men’t for some particular kinds of subscribers but keep trying. 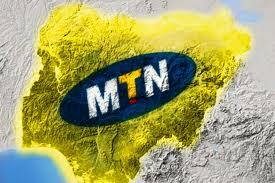 How Can I Transfer Megabytes To Another MTN line? 5. Enter the amount of Mb you want to transfer. doing this, try it again as it may be a temporary network problem. TGIF! this thing is really getting strong thisdays oooooo… Airtel gigabytes. who will teach us this thing now? It's hot and no one seems to want to let it out for free. Like we all are aware, once it goes public, Airtel will not waste time in blocking it which is y it is well guarded by those who have it. It is very possible to attach a music on blogger.. I will quickly share with you a simple way of doing that using hulkshare. Hulkshare.com it is a website where artists, DJs, music lovers upload their music and share with friends and fans. If you own some music files, you can easily upload them to hulkshare, then use the hulkshare music player to embed them in your blog posts for your readers to listen and even download them. ==> Search for the track you want to embed e.g "Iyanya"
==> Once you see the music track in the search results, click on it. This will open a new page. ==> Scroll down the new page and click "embed"
==> While using the compose tab, write the main content of your post as normal, then place your cursor where you would like the hulkshare audio player to appear. ==> Preview your post and if OK, publish it. That's it friend.. If you are confuse just let me know.. Very very helpful info. hundred gbosas to you there. Please am finding it difficult to share my SME data with my friends. I was only able to share with 5 any help? Because I felt the maximum is 10. 08030840932.